Is The Garmin Forerunner 35 Waterproof Enough for Swimming? →Is The Garmin Forerunner 35 Waterproof? Is The Garmin Forerunner 35 Waterproof? Well, it isn’t. So putting it in the same category with truly waterproof fitness tracking devices doesn’t sound like a good idea at all. Ideally, the gadget is only best for use in activities that do not involve water. But that doesn’t imply that you must keep your Garmin Forerunner 35 completely away from it. In short, the gadget is not for water, but can perfectly survive if it makes contact with it. With a Forerunner 35, you can go for a run and see if your pulse is in the appropriate heart rate zone. You can keep active and sweat as much as you want when wearing it. And you can use it to measure the quality of your sleep, and even take it for a swim test in a pool. What makes Garmin Forerunner 35 Unique? Strictly speaking, the Garmin Forerunner 35 is not waterproof. However, the gadget is water resistant for up to 5 ATM. When a device is waterproof, it means that it can withstand water to a particular level before giving in. In the case of Garmin Forerunner 35, you would have to go to depths of 50 meters below water for a damage to occur. To reach such depths, you’d actually need to use under water breather. So if your intent is to destroy the gadget, first buy a diving kit! As you have noticed by now, a person does not have to remove their Forerunner 35 when taking a normal swim. But the device cannot really track swimming strokes and distance. So if you are into swim tracking, you can take advantage of other smartwatches, like Garmin Swim and Forerunner 935. 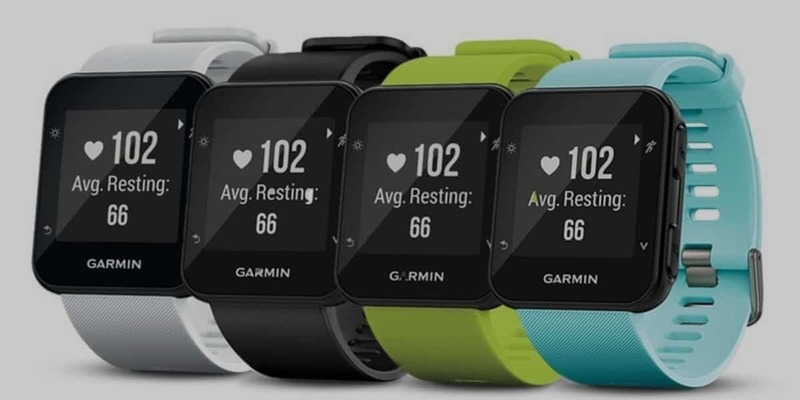 Many users have described the Garmin 35 as partly sporty and partly official. It has a flat, square-like face that makes it an ideal wear for both men and women. For easy interaction with a user, there are four buttons, two on each side, which carry out different dedicated functions. While on a run, the user doesn’t have to keep peeping or tapping on the screen to do quick tasks like selecting a work out, move through items, or to move to the previous menu. The Forerunner 35 also has a large display of 0.93 inches with an impressive pixel concentration of 128 x 128, which, in our opinion, improves its visual appeal. If you compare it to many other fitness trackers, the Forerunner 35 sets itself apart with its brighter and crispier display. Just like other Forerunners, the F35 has comes with beautifully designed straps. They are also strong and long lasting even after exposure to moisture. Moreover, you don’t have to stick to the strap that the watch comes with. There are plentiful alternative straps of different colors and sizes that you can buy and interchange from time to time. Removing and fixing new straps is easy, as long as you have a small screwdriver and know how to use it. It’s in the inside of the Forerunner 35 where stuffs really get interesting. You cannot compare the sheer accuracy and power of this device with that of watches of the same price range. Take the GPS feature, for example. It loads quite fast, so you can be sure that it will cover and store details of every single step of your route. The only disadvantage is that you might not be able to capture some location data if your path stretches into a small or large building, although this is a common limitation in all GPS devices. In addition, it adopts a simplistic design where the menu is in the form of a list. Instead of having to tap on one icon after another to reach what you want, you simply scroll to a favorite item. With a straightforward interface, even the most tech-unaware person will quickly learn how to interact with this device. However, some users consider the simple and straightforward design a waste of time because there is no other shortcut for directly going for an item in the menu. If you are the kind of person that doesn’t like looking at their phone now and then for notifications, the Forerunner 35 is the kind of gadget that you should be looking for. After you have granted this device the right permissions, it will inform you instantly when you receive various notifications on your mobile phone. From the Forerunner 35’s interface, you can also choose which notifications it should bring to your attention and which ones it shouldn’t. 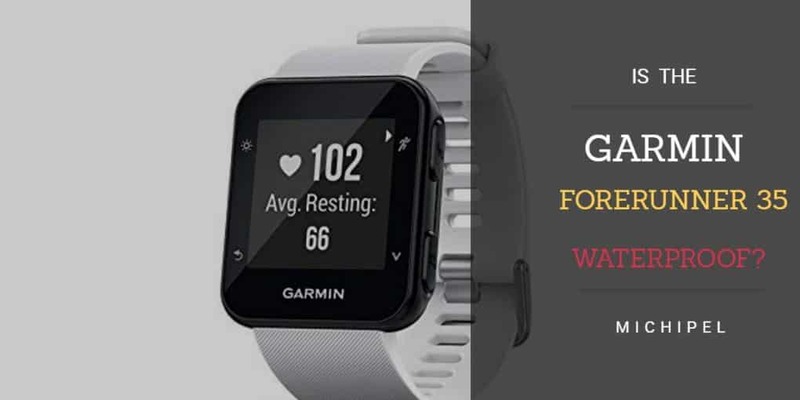 Moreover, you can also set it to inform you only when you are doing an activity or at all times. Another important feature of the Forerunner 35 is the Move Bar, which appears when the wearer has been dormant for too long. The Move Bar will only disappear when the user moves for at least five minutes. If anything, the Forerunner 35 is, without a doubt, a good device that can help a wearer to get used to exercising. Although Garmin Forerunner 35 isn’t a swimming tracker, you can still use it to measure other aspects of exercise even when you are submerged. 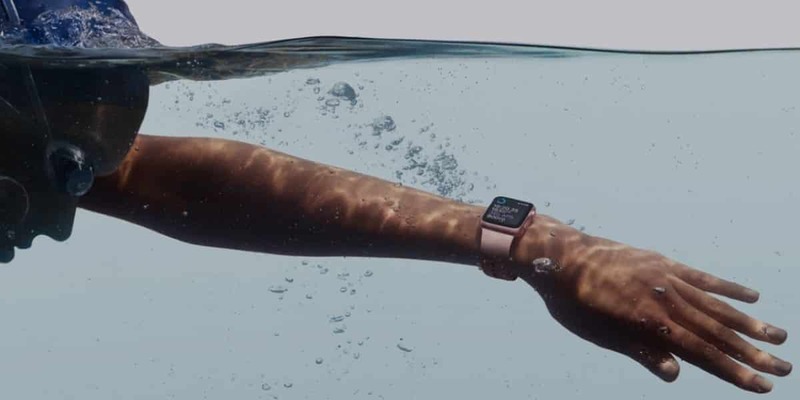 For instance, the heart rate tracker still works under water and will reliably collect data about the wearer’s heart zone. This tracker uses pulses in the hand to compute heartbeat, and your pulse will always be there whether you stay inside or above water. But it is important to remember that this device will not be able to measure your strokes or the distance that you have covered while swimming. 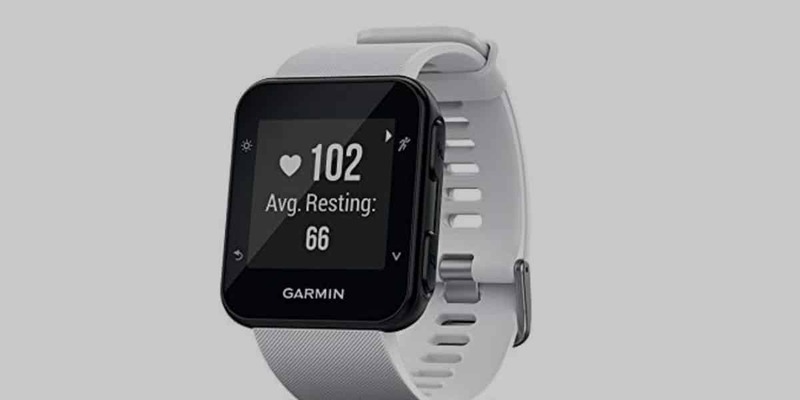 If you are interested in classy watches that are packed with interesting features, and you do not mind the fact that the device is not waterproof, then you should think about trying the Garmin Forerunner 35.